Using the E-Sign button, you may check the status of your Signature Packet sent for signatures with zipLogix Digital Ink®. You can review what tasks that your signers may need to complete, check the history or audit trail of the signed document and more. Open the Transaction that you wish to check the status on, then click on the e-Sign button in the Documents tab. 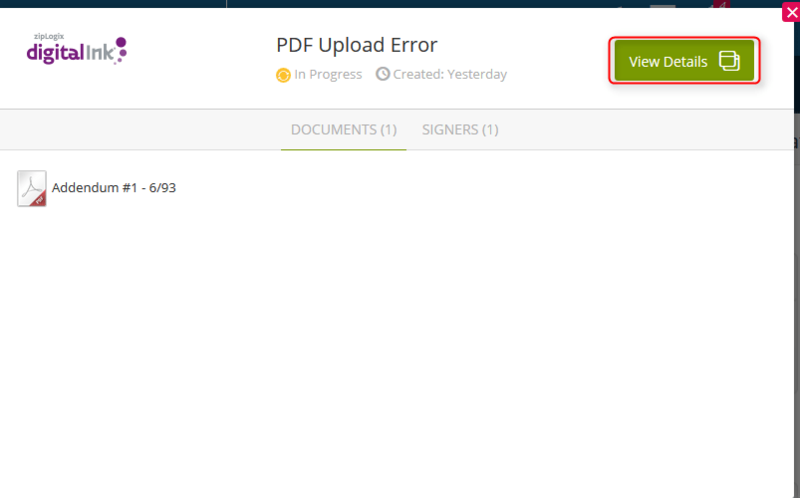 Click on an existing E-Signature Packet to view status details. You may click anywhere in the row to view more details about your Signature Packet. When the E-Signature Packet Details screen appears, by first glance you can see the Creation Date, Sign Service, Your Signing Parties and Documents Submitted. Click View Details to see more in depth information about your Signature Packet. After clicking View Details, a more detailed status screen will appear. From this screen, we can see more detailed information about the Signature Packet. Please see below to see the functionality of this feature. You may click on Action Required to view what forms your signer still needs to sign. 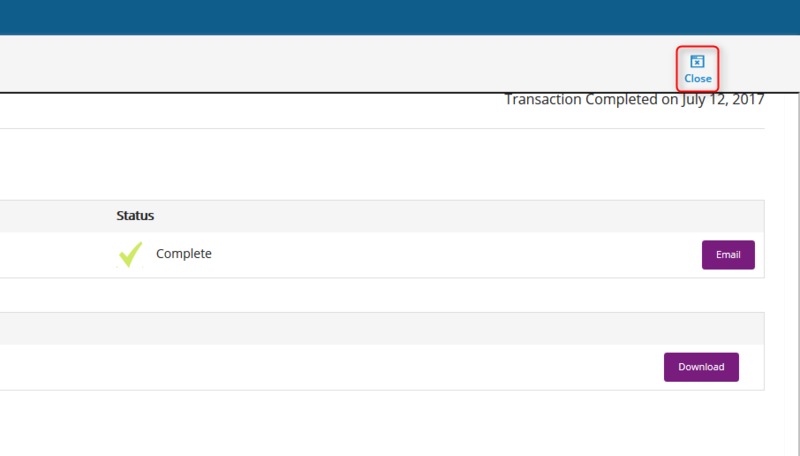 When all signers are finished, the Transaction Status will show “Complete”. To Modify and/or Resend a Signature E-mail click on E-Mail. To Fix an incorrect E-mail, click in the Email Address field and make the necessary changes. Include a Subject and a Message and click Send when you are finished. 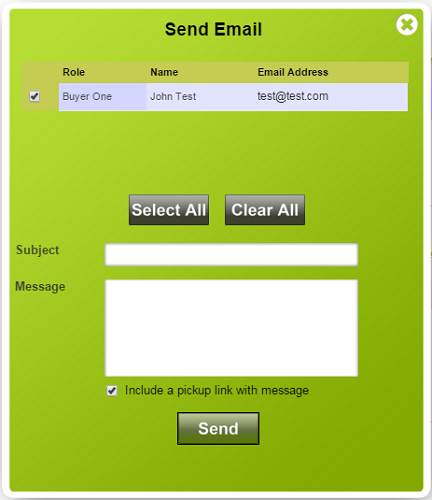 To Resend an E-mail, Select your Signers, include a Subject and a Message and click Send when you are finished. After your email has been sent, you will receive a notification stating “The email address change you’ve made will only be for this email”. E-mailing this way will not correct your transaction if you’ve made a mistake. To view the Audit Trail click View History. A new pop up will appear with the Audit Trail of the Signature Packet. Please Note: The Audit Trail starts with Oldest events on top and Newest events on bottom. The Documents Section will list all the documents sent for Signature. Click Download All to download all your documents into a compressed (.zip) folder. The Audit Trail will be included in your compressed folder for easy access. Choose Download if you wish to download a single form in PDF format. To return to your transaction, click Close at the top right of your screen.